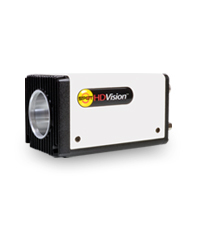 The SPOT HDVision camera provides superb real time high definition quality video microscopy for teaching and consulting microscopy applications. Direct HD Video (DVI-D) output to HD monitors and projectors eliminates the need for a computer in the conference room, and the camera’s USB 2.0 output enables images to be saved when desired. With the optional video conferencing accessories, the HDVision camera enables live video conferencing within your building or across the world.